Move right in! Wow! Great Value! Secluded & private! Independent Appraised Value is higher than list price!! This splendid turn-key home is AMAZING! Huge amounts of outdoor living space!! It's secluded and feels like country. 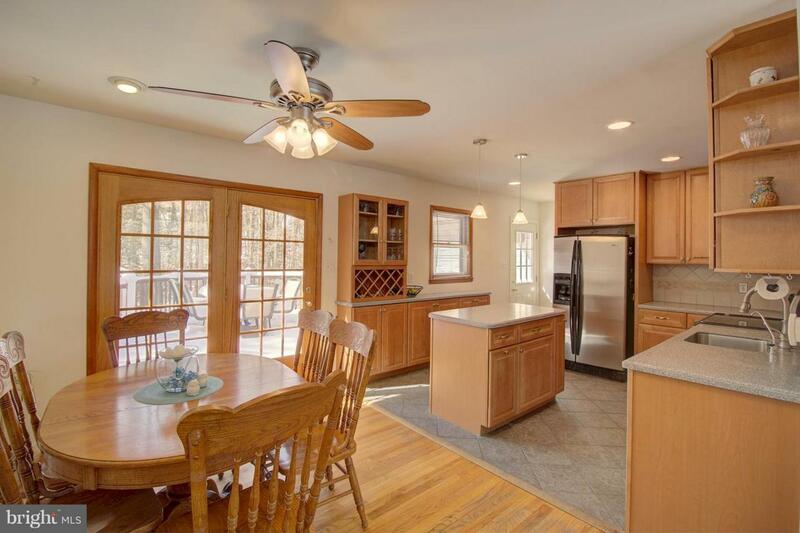 Updated rancher with finished basement on .95 acres in Severn! PRIVATE setting and no HOA! Yet location is convenient to Ft. Meade, BWI, Annapolis, Baltimore and DC. Shopping and restaurants are nearby. Close to 97, 100, 95, 295! Super sized garage with 9' high by 10' wide garage doors for trucks/SUV's to park inside. Workshop areas in the large open garage as well as in the basement area. Perfect for anyone who wants to run a business, handyman, or someone who just enjoys tinkering. Location also is one of the few homes in the area that will accommodate an RV!! Hookup to electric & water at your own home. 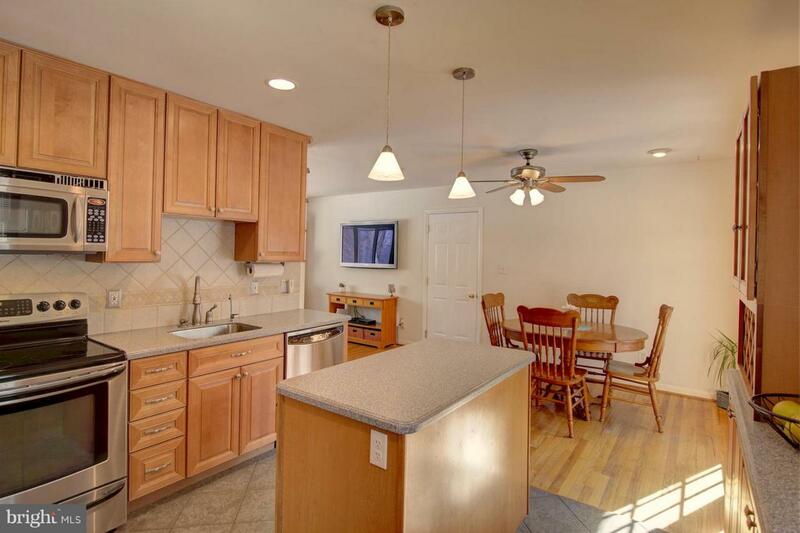 Rancher features an upgraded kitchen area with island and several built-ins. Upgraded beautiful ceramic tile throughout kitchen area. Dining room opens up to a low maintenance huge deck. Off the deck is a patio which includes a fire pit! Perfect location for all sorts of events-Plenty of areas for entertaining! 3 bedrooms are located on the main level of the home. Owners' suite is huge with 2 closets. One closet is walk-in. They both include many shelving areas for optimal storage space. Owner's suite bathroom includes a tiled shower with built-in areas. Sitting room is off the rear of the suite. Owner's suite is located to the back end of the home so super private from the rest of the home. Gleaming hardwood floors throughout the main level. Use AC, whole house fan or ceiling fans for those hot summer days/nights. Oil heat or use the wood stove in the lower level to help keep you cozy and warm this winter. Lower level also includes a den/potential 4th bedroom as well as a full bathroom. 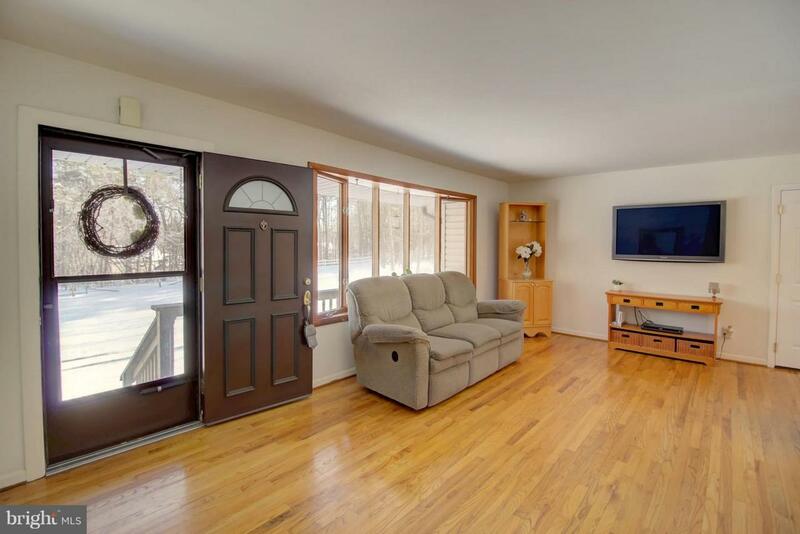 The lower level family room is extremely large so could be used a variety of ways. There is a separate laundry room with washer/dryer and large sink. The lower level exterior door leads to a mud room area which has the other workshop area as well as storage. Tons of storage room in this home! Appraisal dated 7/13/18 available online. Appraised value HIGHER than list price! This home is a MUST SEE at this price! 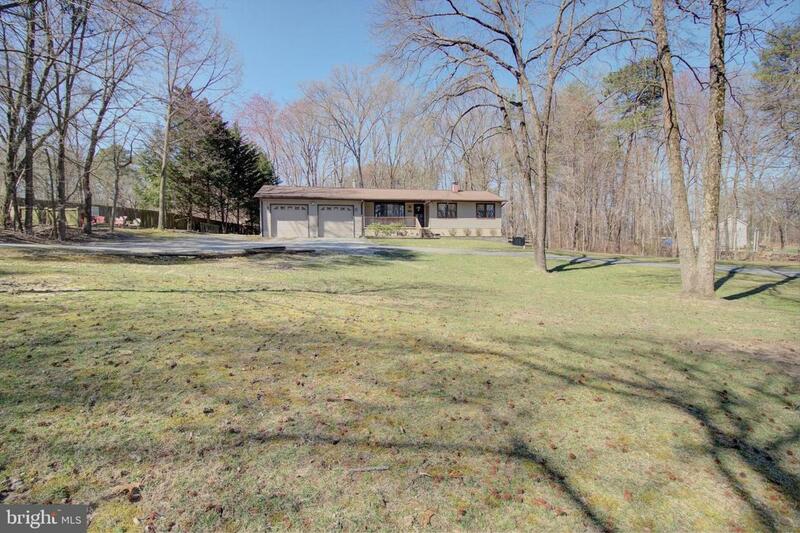 Where else can you get almost an acre of land with this much convenience?? Come and take a look! Fantastic opportunity for home ownership. Please note: New neighbor is cleaning up debris left from previous owner so neighbor's yard is in process of some trees/bushes being removed. At the time of this listing, new owner is not planning on building anything other than a garage by his house.